Volkswagen Group of America (VW) announced Nov. 14, 2018 it will recall almost 200 recently-built vehicles with incorrectly welded seats. 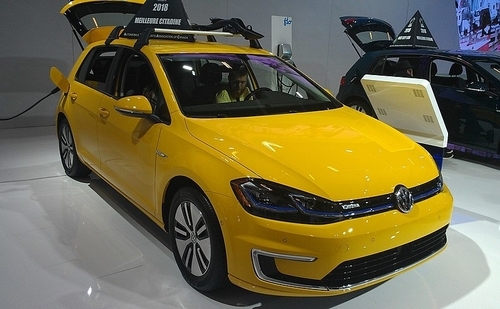 The Auburn Hills, Michigan-based manufacturer notified the National Highway Traffic Safety Administration (NHTSA) they will recall 169 2018 Volkswagen Golf R, 2018 Volkswagen e-Golf, 2018 Audi A3 Sedan or 2018 Audi RS3 vehicles built between May 18, 2018 and Aug. 9, 2018. The affected vehicles contain rear seats manufactured by Polish supplier Lear Corporation. These seats have head restraint guide sleeves improperly welded to the seat frame structure. This can compromise the restraint’s stability and increase injury risk in crash situations. Lear Corporation notified Volkswagen in August 2018 about a potential problem regarding the welding connection between the rear seat frame and the head restraint guide sleeve. Engineers began analyzing the issues in September 2018 and presented their findings to both the Volkswagen and Audi safety committees. These committees decided on Nov. 7, 2018 to issue a safety recall. Volkswagen and Audi will notify their owners and dealers will inspect the guide sleeves for incorrect welds. They will replace the rear seat frame as necessary for free. The recall is expected to begin January 11, 2019. Owners may contact Volkswagen customer service at 1-800-893-5298 or Audi customer service at 1-800-253-2834. Volkswagen’s numbers for this recall are 72H8 (VW) and 72H9(Audi). Concerned consumers can also visit the NHTSA’s website and enter their VIN to see if their vehicle is included in any recalls.